In November Chenjiagou is quiet. 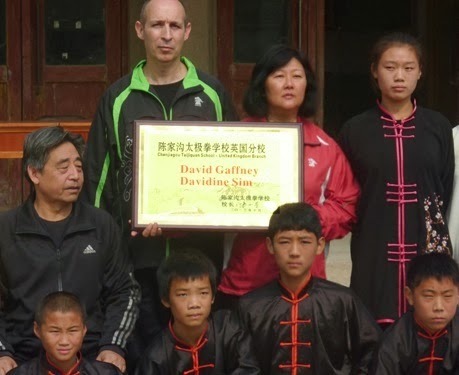 I've been coming to the village for over twenty years now, training in the Chenjiagou Taijiquan School with GM Chen Xiaoxing since 2003. The changes in the village year on year have been quite remarkable. That said, I was unprepared for the difference in the last twelve months: the centre of the village has become a green pedestrianised oasis; on one end of the village a new "mountain" has appeared; even the small dark room two doors down from Chen Xiaoxing's living quarters within the school has had a facelift, with a coat of paint, a mirrored wall and a pair of calligraphys hanging opposite to each other. That aside it remains the place where he teaches day in day out. One thing that never changes is Chen Xiaoxing's demanding training regimen. 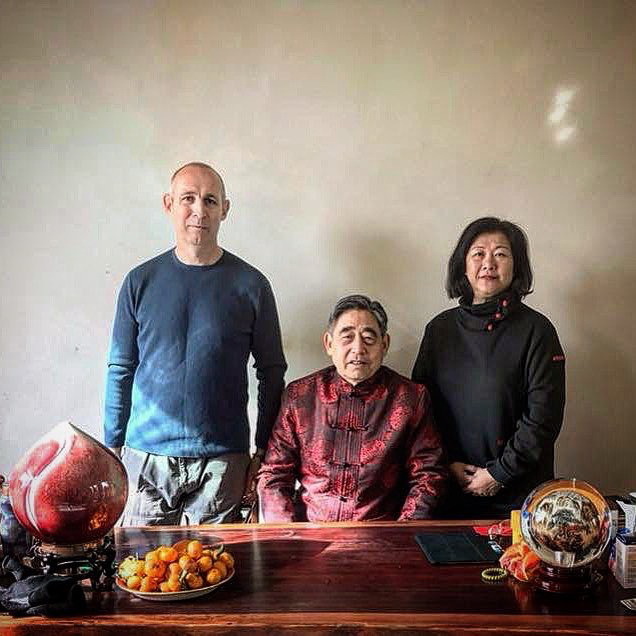 Each morning the first session is scheduled for 8am and always begins with zhan zhuang (standing post). As Chen Xiaoxing likes everyone to be standing when he comes in, people usually start five or ten minutes earlier. The floor is paved with stone tiles each about a metre square. As students come into the room they fill up the squares on the floor with one person to each, lining up from the back of the room. By the time he enters everyone is already training. Student by student, Chen Xiaoxing then systematically adjusts the posture of everyone in the room. Many people describe zhan zhuang as a type of standing meditation. 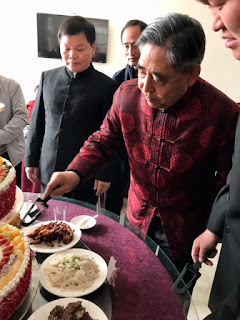 In contrast, I remember Chen Xiaoxing joking some years ago that the thing his students feared the most was the standing. His corrections lead students into a deep and very demanding position - always sitting further back and deeper than their assumed position. Over the course of forty minutes or so the group do their best to maintain the posture. Within a short time some people's legs are shaking uncontrollably, other stronger and more experienced practitioners on the surface seem to hold their shape, but everyone imperceptively moves out of position. After ten or fifteen minutes Chen Xiaoxing returns and repeats the process again leading everyone to a place that tests their limits. The training is painful and mentally challenging and the results come millimetre by millimetre. Chen Xiaoxing brings the standing to a close with a clap of his hands and there is a palpable sense of relief as everyone moves about, some going out into the winter sun to bring some life back their aching legs. After five or ten minutes' respite the class continues, now lining up facing the mirrors. 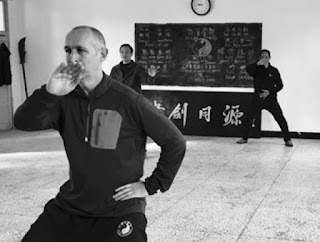 For the next three quarters of an hour the training focuses on silk reeling exercises designed to instil Chen Taijiquan's spiralling movement. Chen Xiaoxing doesn't specify which drill students do and most stick to the single front reeling silk exercise or the double hand front to back exercise. Again he moves from person to person carefully moving students through the movement route - always holding the hips down and back so there is no respite for the legs. Correcting each person through touch, individually addressing their shortcomings: relaxing the chest, back or shoulders; ensuring the body doesn't lean in any direction; fixing any inconsistencies of coordination between upper and lower body; anything that doesn't conform to the standard he requires. Altogether this first part of the class training zhan zhuang and chansigong lasts about an hour and a half. Throughout the process the students do not talk or ask questions. Their job is to "listen" to and try to feel and understand the posture and movement method and to replicate it as closely as they can. On a blackboard fixed to one of the training room walls some previous student has written the phrase "through realisation not speech". 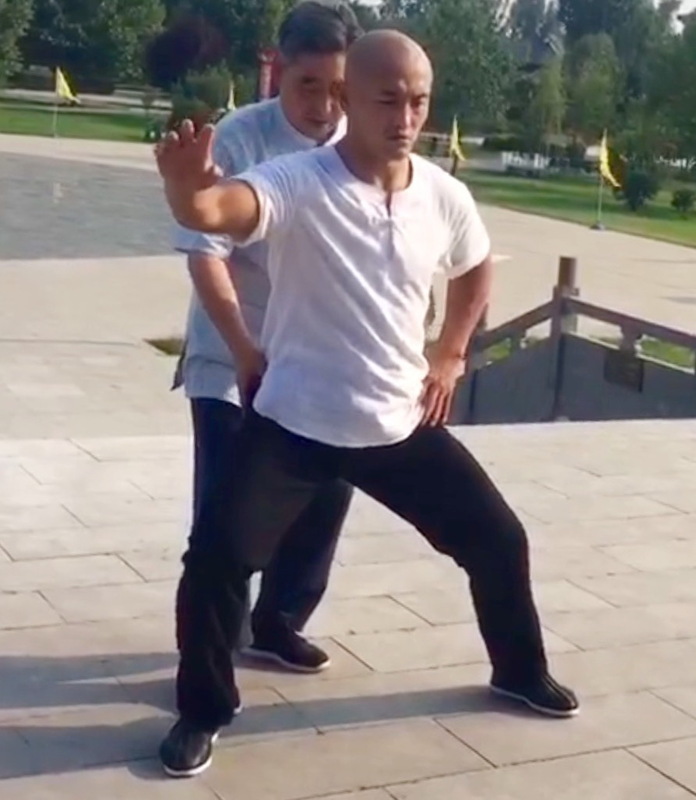 This method of transmission through direct experience is fundamental to a true understanding of Taijiquan. In China there is a saying that to experience once is better than to hear a thousand times. Like the difference between someone describing a dish and actually tasting it for yourself. No matter how articulate the person, words can give some idea, but they can never transmit the experience of actually eating the dish. The same holds true for Taijiquan's method and expression. 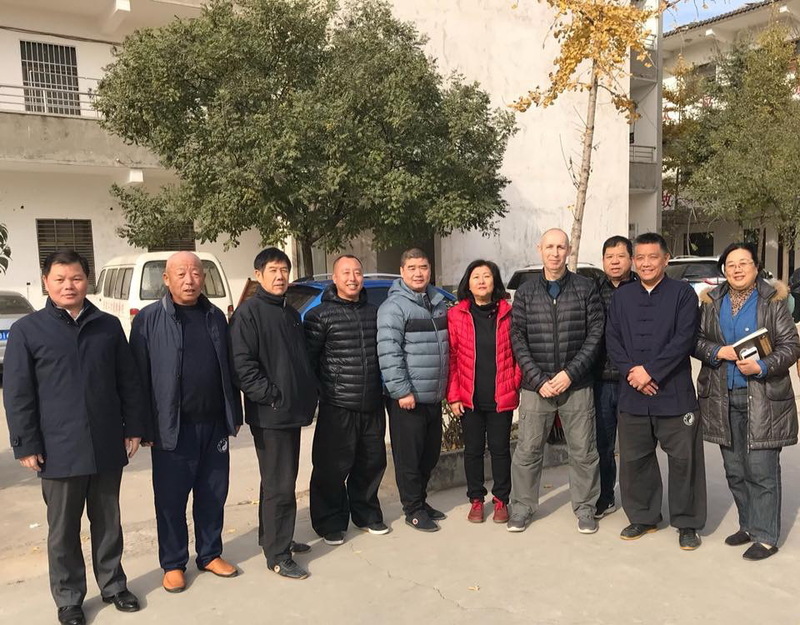 A short film last year featured Yi Long the Shaolin "Fighting Monk" during which he visited Chenjiagou. Delong is one of China's most famous and colourful fighters who last year lost a close decision in a bout with Thailand's famous Muay Thai boxing champion Buakaw. When his posture was adjusted by Chen Xiaoxing you could see him gasping in an effort to maintain the position. Western students often find this approach problematic, as they are educated through a school system that values and rewards students who constantly raise their hands and ask questions. 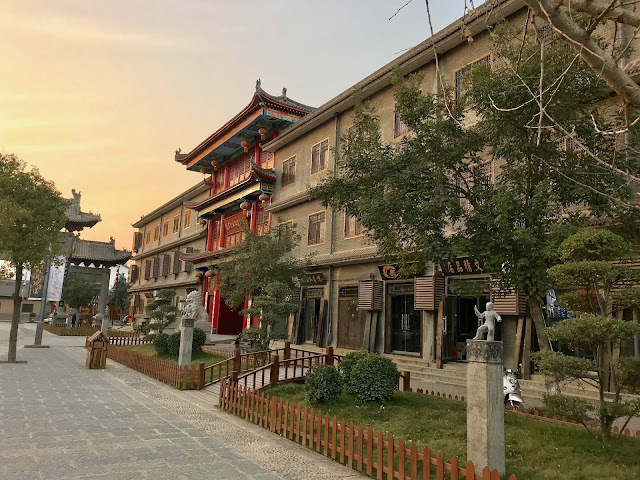 The paradox is that while seeming to ask fewer questions, most of the students in Chen Xiaoxing's class have a far greater awareness of Taijiquan's underlying theory and principles. While it may be difficult to put into practice, this theory has never been more readily available to students than it is today. One of the most frustrating part of teaching is the constant need to reteach people the choreography of forms that they simply don't train enough to become genuinely familiar. The preliminary stage of Taijiquan training requires students to drill the forms repetitively until the form is completely familiar. The next stage then is to dismantle the form, training each movement to conform to the requirements. This can only be done in a slow, meticulous and mindful way. Excellent post and well-written, David. Really enjoyed your post. I hope to go one day to study. Thanks for the refresher/reminder! Good read for all levels.